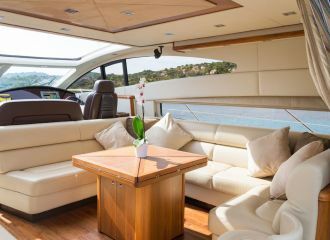 The aft deck of this Sunseeker Predator 72 yacht features a large sunbed along with an alfresco dining. 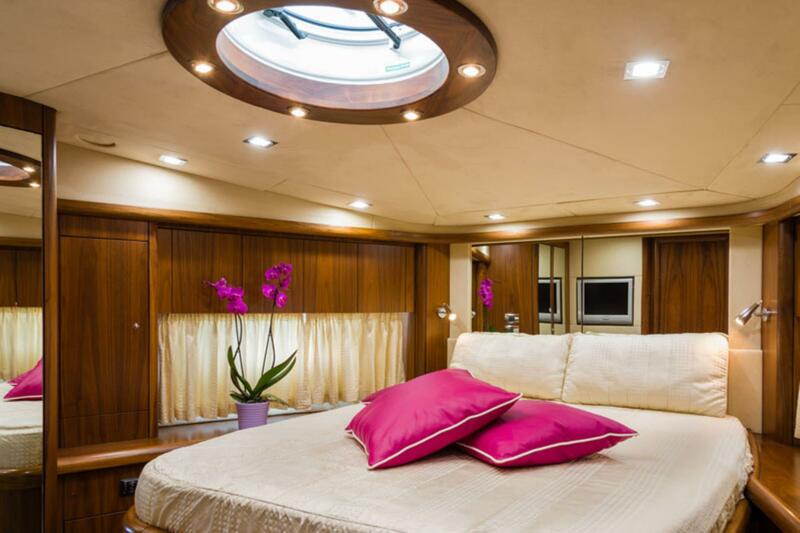 A further sunbathing area can be found on the foredeck. 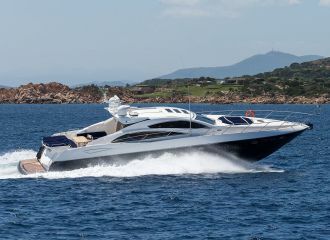 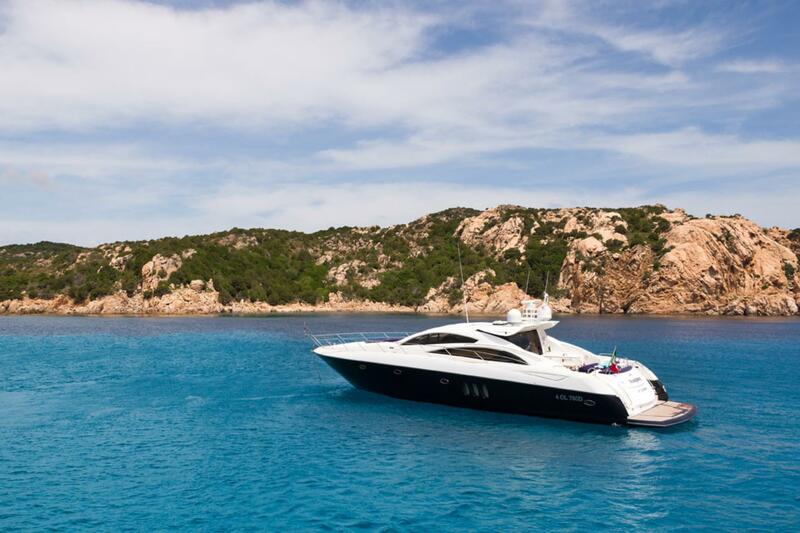 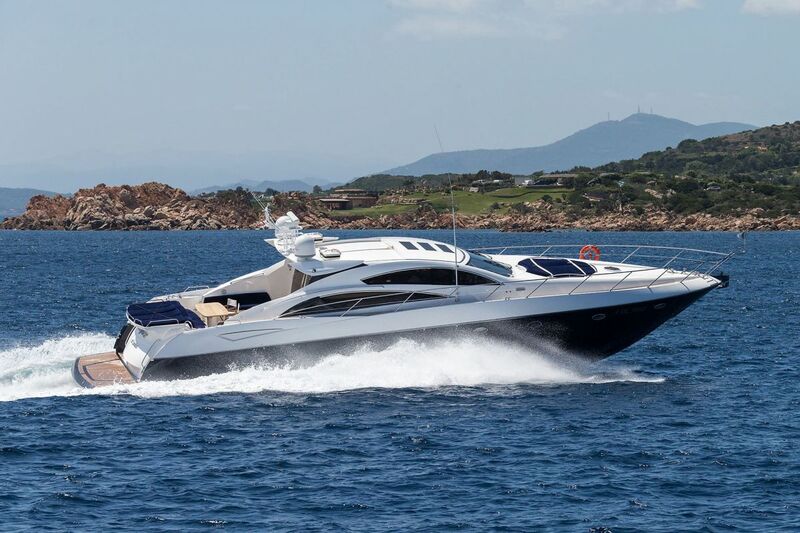 This Sunseeker Predator 72 yacht available for charter in Sardinia also features a hydraulic swim platform which is great for easy access to the sea. 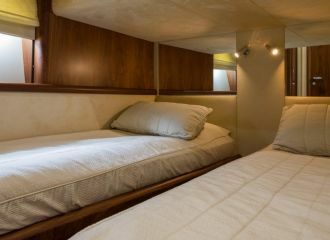 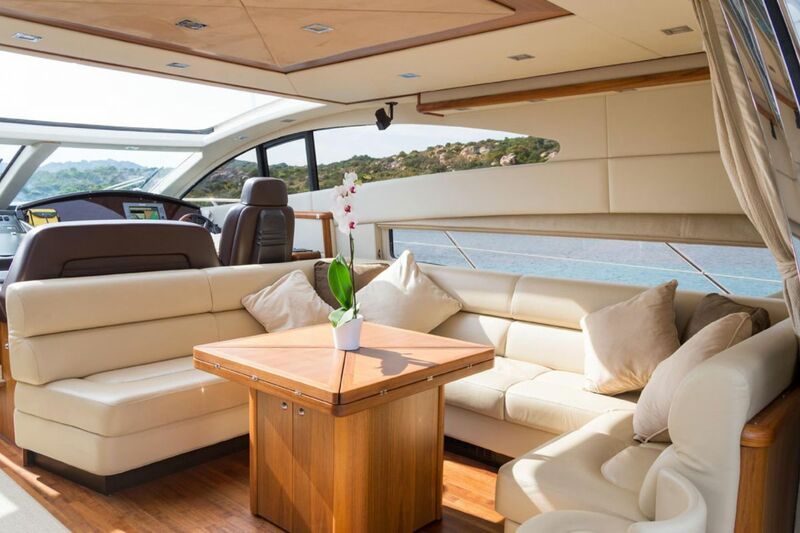 The interior of the yacht boasts a great seating and dining area along with a bar. 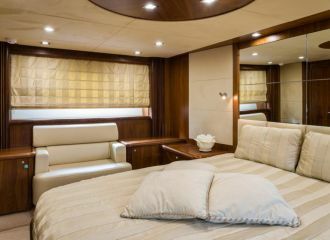 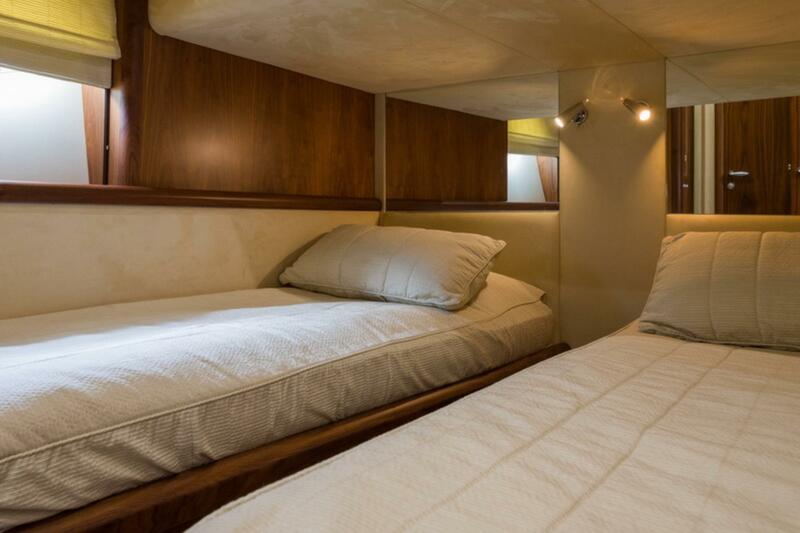 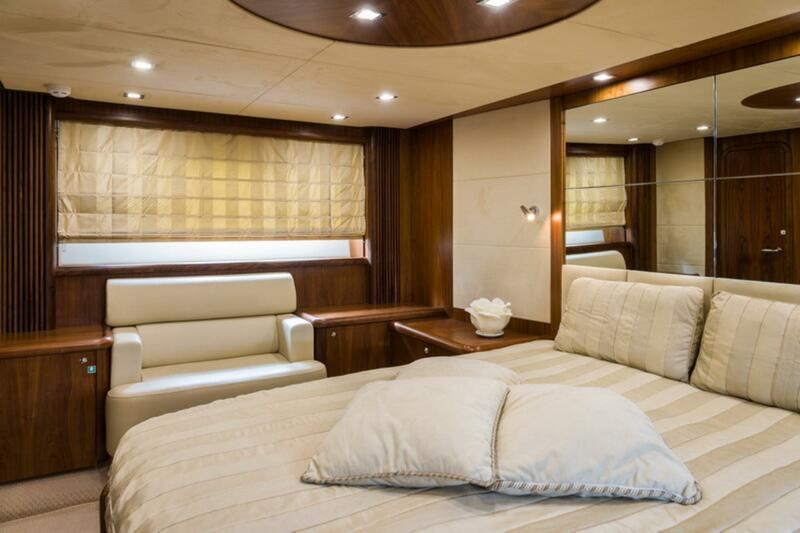 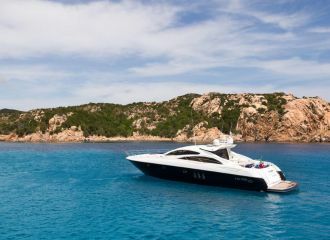 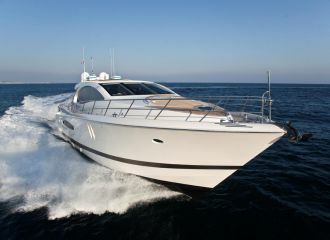 This Sunseeker Predator 72 yacht can accommodate up to 8 guests in 4 cabins. 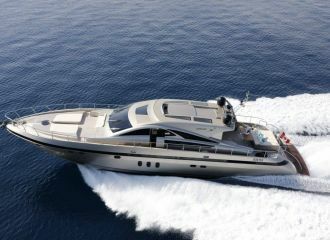 total 5200	€ Excluding VAT and APA ?